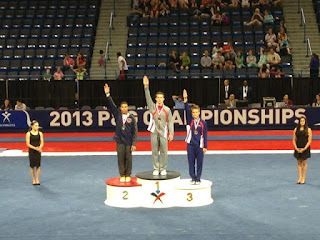 Congratulations to Hocking Valley Gymnast Andrew Rickly!! He competed for one last time for Hocking Valley at the P&G Gymnastics Championships in Connecticut and came home as National High Bar Champion, 2nd place in the All Around, Floor and Parallel Bars, 3rd on Rings, 4th on Pommel and made the 2013-14 Men's Junior National Team. Best of luck at Ohio State this year! !